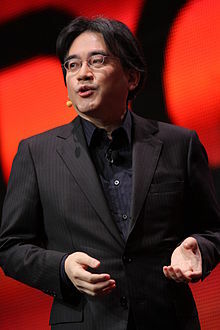 Career Record:June 2000, appointed as Director; May 2002, appointed as President, appointed as Representative Director;June 2013,appointed as CEO of Nintendo of America Inc. The official corporate notification above was followed by an outpouring of respect and affection for a remarkable leader. Satoru Iwata was born into a comfortably well-off family (his father was mayor of his home town of Sapporo ). From a young age he showed an aptitude for information technology, and electronic engineering, is some way echoing the stories of pioneering figures such as Steve Jobs and Bill Gates before him. As a schoolboy he also did freelance work as a programmer for HAL Laboratory, Inc., a game developer that often collaborated closely with Nintendo. This gave him access to Nintendo, so that after University he was able to join then quickly make significant contributions in its transformation from a modest manufacturer of had made playing cards to a global giant in electronic gaming. In keeping with traditional Japanese corporations, Nintendo (roughly translated ‘leave luck to heaven’) retained an extremely stable corporate structure. In 2002, Iwata was to become only the fourth President in a hundred years of operations. Nintendo’s growth was fuelled by the innovativeness of internal technical workers, often creating through spare-time activities, becoming legends in the fast-developing electronic games market. Gunpei Yokoi developed ideas for the Japanese toy industry in his free time. Yokoi was moved from maintenance to the new “Nintendo Games” department as a product developer. He later hit on several creative ideas of enormous importance. In 1979, Yokoi conceived the idea of a handheld video game, while observing a fellow bullet train commuter who passed the time by interacting idly with a portable LCD calculator, which gave birth to the Game & Watch suite of games. Another innovator working with Yokoi was Shigeru Miyamoto. Recruited as a young student, he went on to create, direct and produce some of Nintendo’s most famous video games, including Gameboy. Among other global successes were the Super Mario games in the fictional Mushroom Kingdom. Its successive developments made it one of the most downloaded of computer products. At the start of the 21st century, with the leadership of President Satoru Iwata, the company was facing serious competitive challenges. Under difficult trading conditions the company recorded a substantial drop in profits in 2014, prompting Iwate to take a substantial salary cut. However, in Fiscal 2015, the company returned to profit although this was partly through favourable exchange rates. In the Anglo-American culture, Iwata would have been lauded as a creative genius (think Gates, Jobs, Branson). In a Japanese context, It is easier to see the more subtle notion of distributed leadership playing out. It is also instructive to note that the engineering culture in German manufacturing has also been more aware of the power of distributed leadership. You can see the examples of the link between the power leader (machtpromotor) and operational leader (fachpromotor) outlined in the various editions of Dilemmas of leadership in the chapter on project management. Iwata had the grasp of social media which allowed him to revolutionize Nintendo’s relationship with its army of faithful gamers. His appearances as a game character and as his corporate self, produced strong bonding and interactions. Shortly after his death, a tribute went viral showing a sleeping Iwata character surrounded by weeping Nintendo characters. This entry was posted on Thursday, July 16th, 2015 at 3:53 pm and is filed under Uncategorized. You can follow any responses to this entry through the RSS 2.0 feed. You can leave a response, or trackback from your own site. I do see the Nintendo brand as a ‘Lovemark’. Iwata’s leadership helped sustain the Nintendo brand and everything that it represents. Nintendo is loved by its loyal followers. In terms of leadership dilemmas, I see Nintendo and the gaming industry in general being at a crosswords. The gaming hardware is more powerful than ever before, and is affordable – so the opportunity to create more complex games with high definition graphics exists today. But the beauty of Nintendo games was in their simplicity and the puzzles embedded in the gameplay. Nintendo’s quirky characters don’t rely on complex 3D rendering in the same way that games hosted on the XBOX console or the Playstation do. For Nintendo to succeed they need a visionary leader – somebody who can sustain Nintendo’s legacy and values while creating a certain amount of momentum and influence in the gaming arena.